A stone's throw from the Cours Mirabeau and the historic center of Aix-en-Provence, the Grand Hôtel Roi René is the ideal place for your getaway in the city of Aix and the surrounding area. 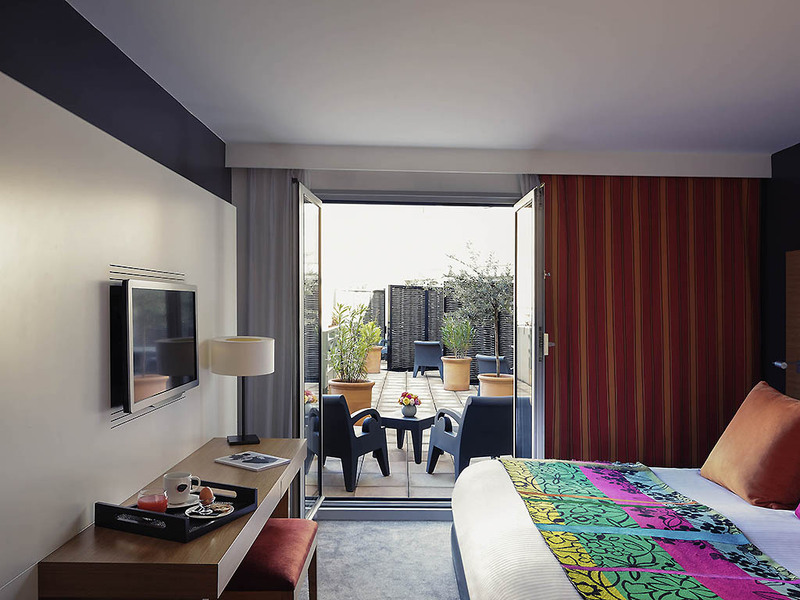 Discover the intimate ambience of the Grand Hotel Roi René Aix-En-Provence. 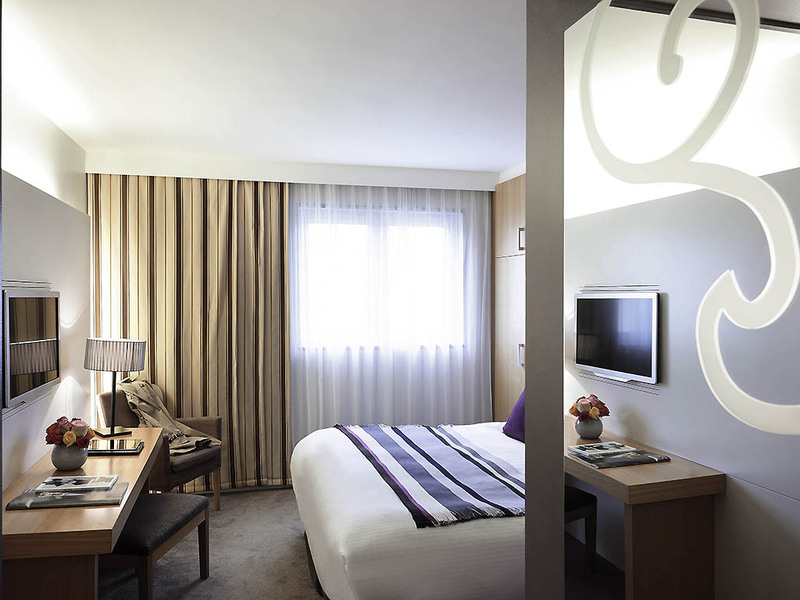 Surrender to the comfort of the bedding in our relaxing MGallery by Sofitel rooms. Explore the culinary delights of the Provencal region in our restaurant "La Table Du Roi". From April onward, enjoy our heated outdoor swimming pool and bask on our sun terrace. You can use our fitness room at any time. 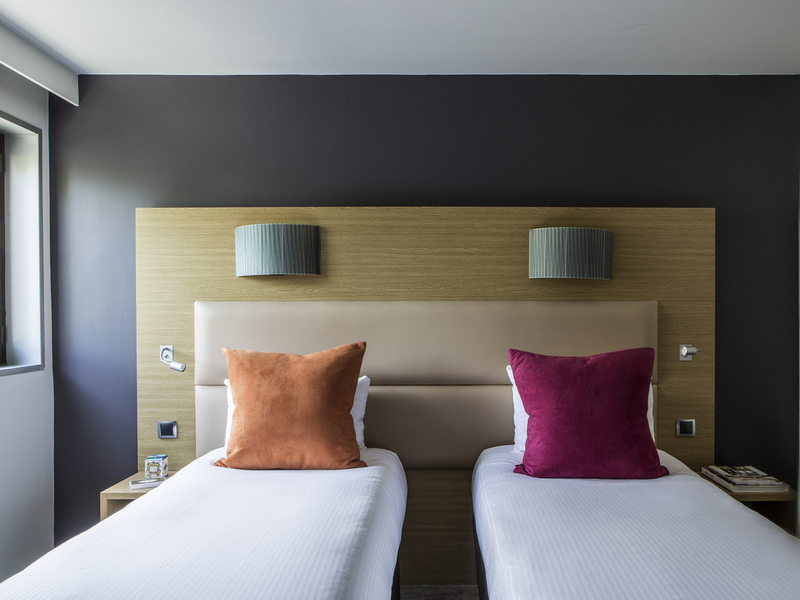 For your comfort, the hotel offers bookable car parking (charges apply). Welcome to a haven of peace right in the heart of the old capital of Provence. Enjoy the delights of the Provencal way of life; the climate and the rich culture of the region will ensure that your stay is unique and unforgettable. .. Enjoy rare moments of pleasure which become unforgettable memories. This is the pleasure-loving philosophy adopted by the hotels in the MGallery collection. A fun and original tour awaits you in the town of a 100 fountains. Be guided through the legendary districts of Aix en Provence and its monuments from the comfort of a pedicab. Discover the unmissable sights that Cézanne's hometown has to offer on a one-hour guided tour in English or French. Good times await! The Queen of Provence, Aix is a never-ending source of delight for visitors and residents alike. Its typical southern charm, subtle Marseilles accents and historic treasures make it the perfect destination. 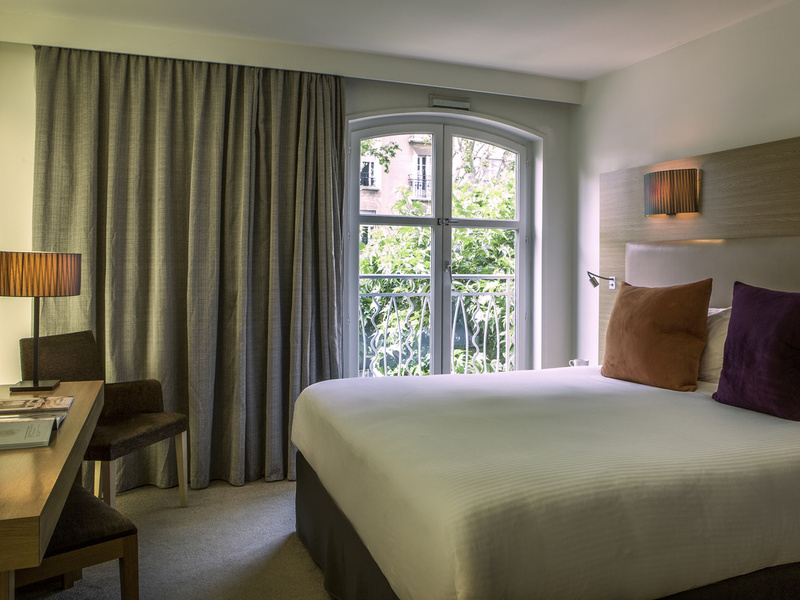 The Grand Hôtel Roi René offers 134 bright and cozy rooms with a calm and relaxing atmosphere, perfect for unwinding after a pleasant day in sunny Provence. 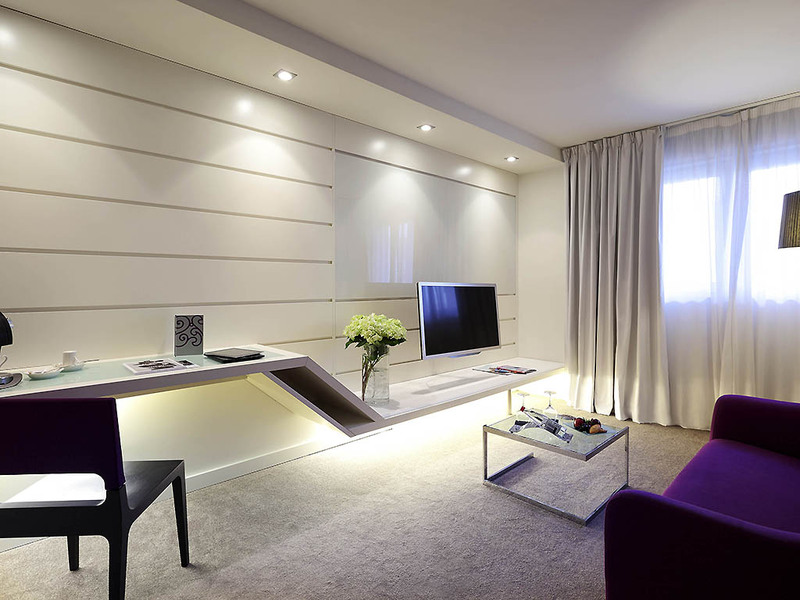 Modern decor, flat-screen satellite TV, minibar and safe. Bathroom with bathtub or shower, high-end products, bathrobe, slippers, hairdryer, tea and coffee making facilities. Free Wi-Fi access. After a day visiting Provence, recapture the luxury and peace of your 344 sq. ft. (32 m²) suite. 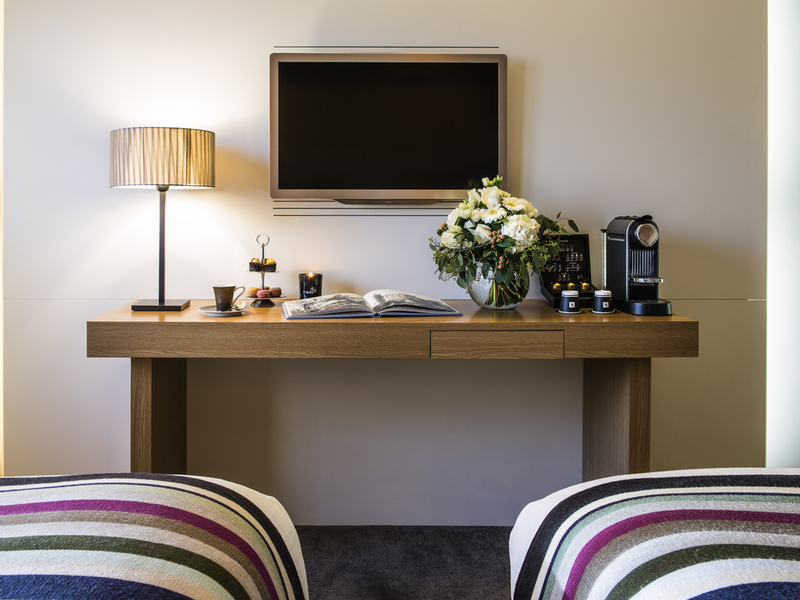 Savor a Nespresso coffee or a tea in the separate living area. Then relax, whilst admiring the view over the swimming pool. 248 sq. ft. (23 m²) room with 32" TV, minibar, safe and A/C. Bathroom with bathrobe, slippers and hair dryer. Tea and coffee making facilities and free mineral water. Free WIFI. Extra bed on request. 398 sq. ft. (37 m²) room with separate lounge area and pool view. 42" and 32" TVs, minibar, iPhone dock and A/C. Bathroom with bathrobe, slippers and hair dryer. Nespresso machine, tea and coffee making facilities and free mineral water. Free WIFI. At the Table du Roi restaurant, you will find elegant regional cuisine using seasonal produce and the chef's own inspiration. Discover a creative menu in the cozy and modern setting of our bar, L'Intemporel. Our chef, Thomas Roret, brings to life all the facets of Provençale cuisine. Wake up slowly and savor the morning before enjoying a delicious brunch. Sample culinary delights in the soothing atmosphere of the outdoor shaded patio. The Grand Hôtel Roi René is available for all your professional and private events and offers modular rooms with a friendly atmosphere. Three fully equipped rooms with the possibility of combining them into a reception space of 2476 sq. ft. (230 m²). Our high-end, personalized service will meet all your expectations. Want to visit Aix-en-Provence and the surrounding region in the comfort of a limousine? Then the hotel will gladly put you in contact with its partner, AMP LIMOUSINE. A true haven of relaxation in the heart of the hotel, the heated outdoor pool is an irresistible space from March onwards. Lounge on a comfortable chaise longue after a refreshing dip in the pool. In summer, the bar serves cocktails and snacks.